I’ve just found 10,000 ways that won’t work. Recently I stumbled across the blog parade of the Zeppelin Museum Friedrichshafen on the topic of innovation. I’ve been thinking about it for some time and that was the perfect trigger to put it on paper. In this article I present three innovations that have had a lasting influence on our society and have become an integral part of our lives today. But even more exciting are the stories of innovators and the emergence of these innovations, from which we can learn a lot in order to create an innovation-friendly society. The first innovation is the antibiotic, which we all have probably enjoyed. According to Wikipedia, the most prescribed drug in the world fights bacterial infections and has already saved many lives. Penicilin, discovered by Scottish physician Alexander Fleming, was the cornerstone for the success of antibiotics and is still widely used today as a synonym for all types of antibiotics. Many certainly know the story behind the discovery of penicilin. Fleming experimented with staphylococci in his laboratory. Before his summer vacation, he forgot some Petri dishes in which he had planted the bacterium. On his return, he noticed that a mould was growing in some of the shells that prevented the staphylococci from growing. The penicillin was found by accident. 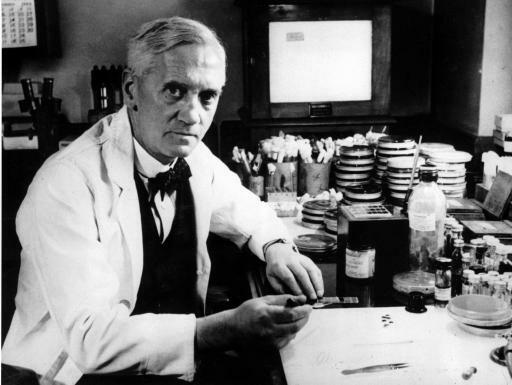 Luckily Alexander Fleming was not a perfectionist who cleans everything up before his holidays. Otherwise there would never have been this coincidence. Also in companies it is often the case that we want to eliminate imperfections and supposed uselessness. Projects that do not show a clear ROI (= return of investment) from the outset have no chance. So we often do not allow anything to grow. Neither do we use several Petri dishes. We know very well that not in all Petri dishes something big arises. Nevertheless, the optimization of financial metrics and efficiency maximization ensures that we save “Petri dishes” and rather invest time and money to avoid risks and failure, but don’t grow soemthing. The career of the second innovator was anything but perfect too. 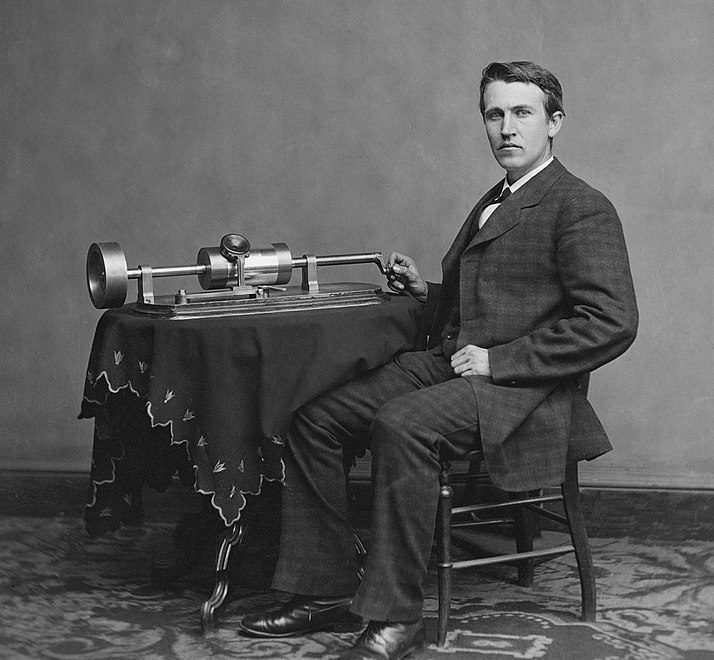 Thomas Alva Edison had hearing problems in his childhood and was hard of hearing all his life. This makes his invention of the phonograph all the more remarkable. He only had a few months of regular schooling before his mother taught him. Maybe that was exactly the reason for his later success. The example of the electric pen, which he invented as part of his telegraph development, is a good illustration of what innovation is all about. His self-produced devices were considered too technical and unsuccessful. So an innovation is not about the best technical solution or the best flash of inspiration. An innovation solves a customer problem and, as a result, achieves economic success. That’s why I think it’s important that entrepreneurship becomes more relevant. At school, such skills are hardly trained at all. And also in the later professional life many employees find rather predefined processes and routines instead of a breeding ground for entrepreneurship. Edison’s most important innovation, however, was theelectric light bulb in conjunction with the electrification of our cities. This has permanently changed our lives, as you quickly notice when the power goes out for a while. Edison initially failed with his attempts at an electric light bulb. His quote comes from this period: “I have not failed. I’ve only found 10,000 ways it doesn’t work.” Whether he ever said that is not certain. However, I find the phrase one of the most important aspects in the innovation process. It takes constant experimentation, learning and adaptation. Unfortunately, learning today is still often equated with memorizing existing knowledge. My kids can tell you a thing or two about it. And when I look into the world of business, I also notice that little space is given to experimentation and research into new things. Sounds like Lean Startup, a methodology that I featured in Treasure 49. For me, the MP3 format is one of the most exciting German innovations of the late 20th century. 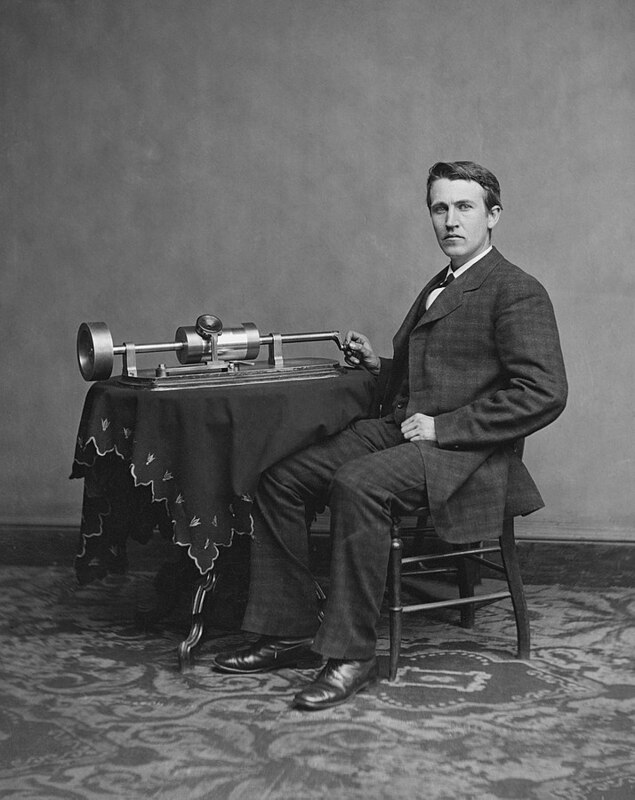 This method of compressing audio files laid the foundation for the disruption of the music industry, which Edison initiated with his phonograph. Their business model has changed significantly due to the sharing and selling of music via the Internet. As the basis of the iTunes software, mp3 has also enabled the upswing of the tech giant Apple. In the following years, the company from Cupertino made an impressive triumphal march with mobile devices such as the iPod, iPhone and iPad and thus grew into a media empire. The streaming service Spotify, which is also highly regarded and copied due to its corporate culture, would not exist without the innovation of Hans-Georg Musmann and his team. Disruptive innovation made in Germany is possible after all. Unlike Fleming and Edison, however, there is not one inventor and innovator. The mp3 format shows very well that innovation is teamwork. Musmann did not invent mp3. The inventor is a team led by Karlheinz Brandenburg at the Frauenhofer IIS Institute in Erlangen. However, the final standard included the work of many other developers from universities and companies such as AT&T and Thomson. That’s what innovation is for me. Creating something together with different perspectives and abilities. Maximizing coincidences and surprises over avoiding risks. Experimenting, learning and adapting over just reproducing existing knowledge and processing routines. Variety of perspectives and skills (diversity) over brilliant individual performance and technical perfection. What do you think? Which additional theses do you have in mind or how would you say it? I am looking forward to your feedback in the comments, via my social channels or via email totobias@companypirate.de. If you want to read more about innovation, feel free to checkout my article “Sparks” or the book The Lean Startup from Eric Ries (*). Links marked with an asterisk (*) are so-called affiliate links. If you click on such an affiliate link and buy via this link, I get a commission from the respective online shop or provider. For you, the price doesn’t change.